Snack bars located on the beach are one of the key target groups of the MarLitCy project, as they have a big role to play in preventing waste created on or near their facilities from becoming marine litter. Therefore, MarLitCy has adopted a 'Decalogue of Good Practice', developed by the Spanish Biodiversity Foundation, and reached out to beach bars around the island, asking them to pledge their support. In addition to the Decalogue, beach bars were provided with simple steps they can follow to become more sustainable. ​The response has been overwhelming! 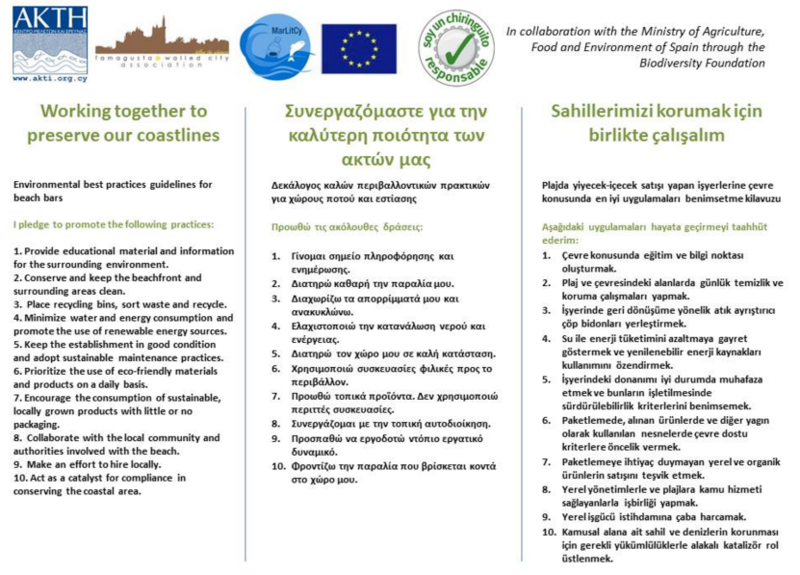 ​MarLitCy is very proud to present below all the beach bars that have pledged to implement the Decalogue. If you are interested in joining the Responsible Beach Bars community, or if you would like to find out more about the project, don't hesitate to contact us!